Vintage glass cameos. 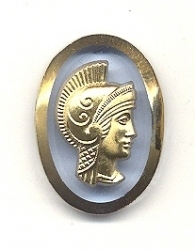 25 x 18mm Warrior's Head cameos. Gold tone accents on a see-through Cobalt Blue background.